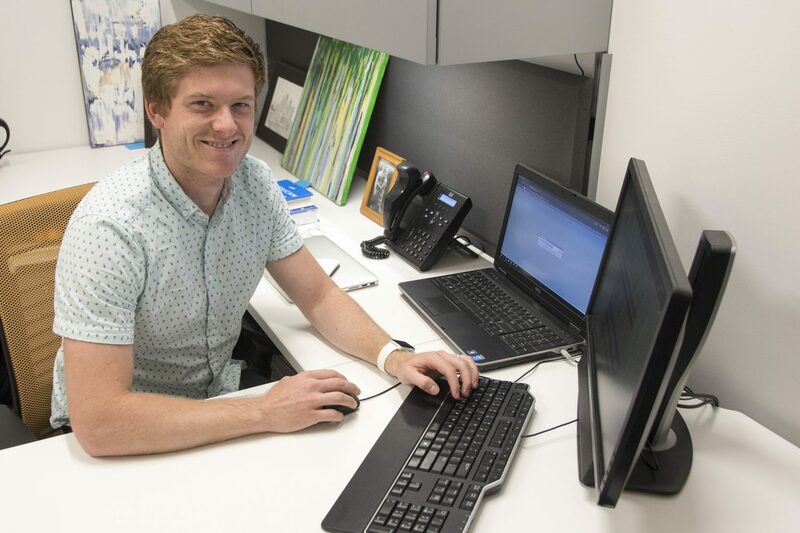 Jeremy Provance is one of four students in UMKC’s Interdisciplinary Ph.D. program with a primary emphasis on bioinformatics through the School of Medicine’s Department of Biomedical and Health Informatics. Four graduate students in UMKC’s Interdisciplinary Ph.D. (I-Ph.D.) program have begun working toward their doctorate degree with a primary emphasis on bioinformatics through the School of Medicine’s Department of Biomedical and Health Informatics. The four started their coursework this semester, becoming the first students to pursue a Ph.D. through the School of Medicine. The I-Ph.D. program allows students to work across disciplines to develop an individualized academic plan requiring a primary discipline and at least one co-discipline. In collaboration with the university’s School of Graduate Studies, the medical school has offered bioinformatics as a co-discipline since the fall semester of 2014. Bioinformatics has two co-discipline students who are on track to complete their degrees next May; one with a primary discipline in molecular biology and biochemistry, and the other with a primary discipline in engineering. The School of Medicine also offers a master’s degree in bioinformatics and a graduate certificate in clinical research through the Department of Biomedical and Health Informatics. “I feel like our co-discipline program has been successful because we have had students from so many different primary disciplines,” said Mary Gerkovich, Ph.D., associate professor and coordinator for the I-Ph.D. discipline. Through the bioinformatics emphasis, the students primarily focus on biomedical data and knowledge, with an emphasis on how to use that information in problem solving and decision making to develop the technology and processes that will shape future health care. Gerkovich said the program helps students think about biomedical research in the context of interacting with people. The students with primary disciplines in bioinformatics are studying co-disciplines in mathematics and statistics, cellular biology and biophysics, entrepreneurship, and computer sciences. “In our little cohort of four students, we have a diverse mix of what they’ll be doing and the kind of research they’ll be working on,” Gerkovich said. Jeremy Provance is a software analyst in the School of Medicine’s Center for Health Insights. He completed his master’s degree in bioinformatics last May and decided to continue in the I-Ph.D. program. He will be working largely in cardiovascular outcomes research with the Mid America Heart Institute at Saint Luke’s Hospital. Provance said a number of factors made the program appealing. The quality of faculty and the research at UMKC were the major factors, as well as the interdisciplinary aspect of the program. David Walsh, another I-Ph.D. student, worked at the Veterinary Diagnostic Lab at Kansas State University for three years before moving to Kansas City about a year ago and discovering the program at UMKC. With a bachelor’s degree in biotechnology, Walsh began learning more about the relationship between genomics and bioinformatics. Now, he hopes to incorporate his interest in computer programming with finding process improvements for tracking samples and controls, and checking results. “Using the tools of informatics, it’s possible to develop the targeted treatments that we need, and I want to be involved in helping our species overcome disease,” said Walsh. Gerkovich said the I-Ph.D. program benefits both the university and the community. While it helps provide graduate students to support faculty research endeavors throughout UMKC and the School of Medicine, it is also developing a community resource. 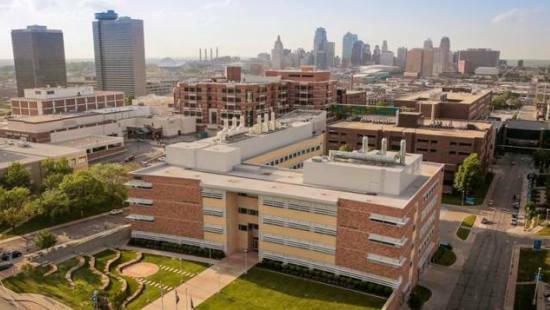 A UMKC School of Medicine researcher is working to understand why people diagnosed with HIV may not stick with their treatment. An estimated 1.2 million Americans live with HIV infection. The disease is treated with antiretroviral therapy, a combination of medicines that reduces the amount of HIV in the bloodstream, which helps the body fight off infections and cancers. It also reduces the risk of transmitting the virus. Gerkovich works with the Infectious Diseases Clinic at Truman Medical Center Hospital Hill to identify participants in her research. “How do you get people to make behavior changes and then stick with them, is the question I keep going back to,” said Gerkovich, who collaborates with colleagues in the departments of Biomedical and Health Informatics, Medicine and Psychology. According to Gerkovich, people who are diagnosed with a chronic condition first have to come to terms with it. “Often when people get a diagnosis that’s a serious diagnosis, they can sometimes shut down and say, ‘I can’t deal with this right now. I’m not willing to acknowledge it and accept it,’” she said. Peer systems may also help patients find the motivation they need to stay on track. Gerkovich said that in her studies, patients have talked about how important it was to see someone else with the same condition living well. It allowed them to see their diagnosis was not a death sentence. Still, the stigma around HIV weighs on patients. In one study, Gerkovich and colleagues interviewed hospitalized patients who had not been receiving care for their HIV status. Some said they did not take their medication or failed to keep clinic appointments to avoid questions from loved ones and employers. Mental health issues and substance abuse also present obstacles to treatment. “They may fall out of care because they’re not managing their life,” Gerkovich said. Gerkovch’s HIV research is not limited to patients at Truman Medical Center. Along with Kathy Goggin, Ph.D., professor of pediatrics and director of health services and outcomes research at Children’s Mercy Kansas City, and Karen Williams, Ph.D., Olson Professor of Biomedical and Health Informatics, she contributed to a study to evaluate the safety of a plant widely used in South Africa to treat people infected with HIV. The study appeared in the journal PLOS One earlier this year. Now in its fourth year, TEDxUMKC has been organized primarily by medical students. 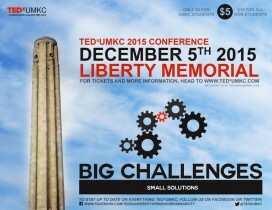 Tickets are on sale for TEDxUMKC. Speakers at the event, to be held Dec. 5 at the National World War I Memorial and Museum, include Mark Hoffman, Ph.D., director of the UMKC Center for Health Insights, and Sly James, the mayor of Kansas City, Missouri. TEDx events are offshoots of the TED conferences, which started in California 26 years ago. UMKC medical students Rahul Maheshwari and Ryan Sieli are co-curators of this year’s event, themed “Big Challenges, Small Solutions.” Harika Nalluri, a sixth-year medical student, organized the first TEDxUMKC event in 2012. In addition to Hoffman and James, speakers at the 2015 TEDxUMKC event include Reza Derakshani, Ph.D., associate professor of computer science and electrical engineering at UMKC; Terri Friedline, Ph.D., assistant professor in the School of Social Welfare at the University of Kansas; and Dakota Rosenfelt, a UMKC pharmacy student, hemophilia advocate and entrepreneur. Although our society has made much progress, there are still major challenges facing us today. Some of these challenges are well known, while many are not. However, there are those among us that recognize, react and resolve those problems. These pioneers, acting in the spirit of ingenuity and altruism, have paved a path to help make the world a better place. They bring awareness to unseen obstacles, and offer creative solutions to tackle them. Innovational in nature and quick in thinking, these individuals strive to expand our horizons by breaking the facade for others to follow and demonstrating that one individual can make a difference. Tickets to TEDxUMKC cost $5 for UMKC students and $10 for the general public and usually sell out. Visit www.tedxumkc.com for more information. 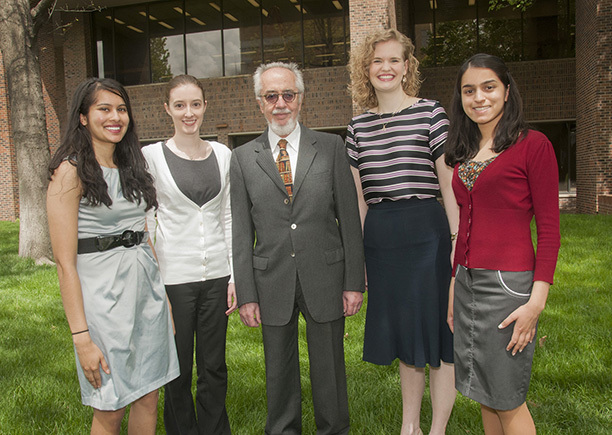 Four of the School of Medicine winners from the 2015 Health Sciences Student Research Summit with Agostino Molteni, M.D., Ph.D., director of student research, are Supriya Dasari, MS 4, Megan Litzau, MS 6, Kayla Briggs, MS 4, and Susamita Kesh, MS 4. Not pictured is Timothy Fendler, winner of the graduate student first place award. Megan Litzau, MS 6, explains her research poster to John Foxworth, Pharm.D., during the annual Health Sciences Student Research Summit on April 2. Megan Litzau, MS 6, presented two posters at the 2015 Student Research Summit on April 2. Each represented something of a milestone for the budding physician with interests in research and academic medicine. Research drew Litzau’s interest during her second year of medical school and she took on small roles of data collection in a pair of studies. “It’s something that I just wanted to try,” Litzau said. “I had never tried doing research before.” By her third project, Litzau was in the position of helping write the grant proposal. All of which led to the posters from two research projects she was presenting at the research summit. One project had an emergency medicine focus, which is in line with her residency choice — Litzau matched to an emergency medicine at the University of Indiana School of Medicine on Match Day just two weeks earlier. “This is the first study that I’ve been the first author on,” Litzau said. Around the corner was another poster from her fifth research project, this one focusing on medical education. Litzau said she is already involved with another research project that she will continue to work on when she begins her residency training this summer in Indiana. Thirty-four students from the School of Medicine, including three graduate students from the school’s graduate programs, participated in presenting 29 posters at Pierson Hall. Students from the schools of Medicine, Dentistry, Pharmacy, Nursing, Biological Sciences and Engineering and Arts and Sciences presented 89 research posters overall at the annual summit. 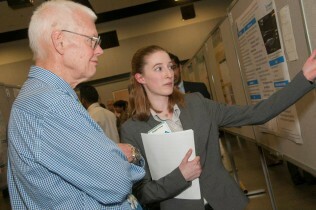 Each of the posters presented by medical students were judged by at least three School of Medicine faculty judges. Kayla Briggs, MS 4, received for the first prize for her poster, Enterovirus D68 Illness in Hospitalized Children under 24 Months of Age. Litzau’s poster, Medical Students’ NBME Subject Exam Preparation Habits and Their Predictive Effects on Actual Scores, tied for second place with a poster by Supriya Dasari, MS 4, and Susamita Kesh, MS 4, Smooth Muscle Actin (SMA1) Stain Lungs and Heart on Strains of CUX-1 Transgenic Mice. Tim Fendler received the first prize for a poster presented by a graduate student with his poster, Alignment of Do-Not-Resuscitate Status with Patients’ Likelihood of Favorable Neurological Survival after In-hospital Cardiac Arrest. Agostino Molteni, M.D., Ph.D., director of student research, said he was pleased with the collection of presentations and the collaboration that took place in producing many of the projects. Kim Smolderen, Ph.D., a distinguished researcher who has collaborated with the Mid America Heart Institute, will join the School of Medicine’s Department of Biomedical and Health Informatics faculty in February to work with program development and teaching and mentoring students and faculty. After receiving her master’s degree and a Ph.D. in medical psychology from Tilburg University, The Netherlands, Smolderen completed two internships and a post-doctorate fellowship in outcomes research at the Saint Luke’s Mid America Heart Institute working closely with John Spertus, M.D., Lauer/Missouri Endowed Chair in Metabolism and Vascular Disease Research. She will continue to work under his scientific mentorship. With the Department of Biomedical and Health Informatics, Smolderen will work to develop a sustained, extramurally-supported research program, while also teaching graduate level courses and mentoring students and faculty in research. 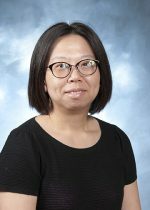 She will also work with Mark Friedell, M.D., chair of the Department of Surgery, in developing the department’s research initiatives, said Karen Williams, professor and chair of Biomedical and Health Informatics. Smolderen has received a number of awards and honors for her extensive research activities and her work has garnered many research grants, including a current $1.8 million grant from the Patient-Centered Outcomes Research Institute. A member of many professional committees and associations, Smolderen currently serves as associate editor of BMC Cardiovascular Disorders and is a member of the editorial board for Cardiovascular Quality of Care and Outcomes.